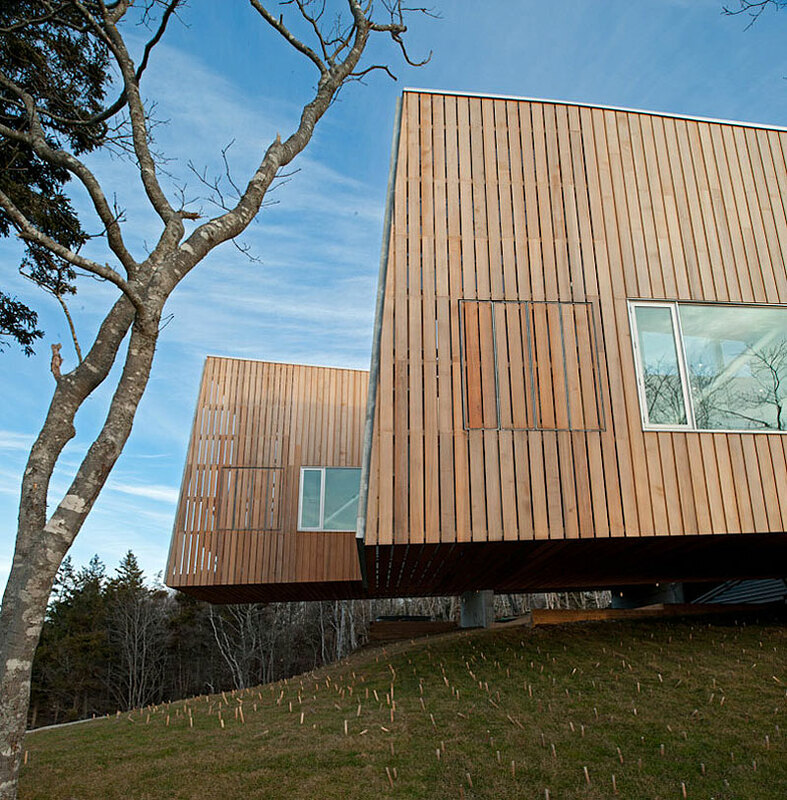 The Two Hulls House was completed in 2011 by the Halifax based studio MacKay-Lyons Sweetapple Architects. 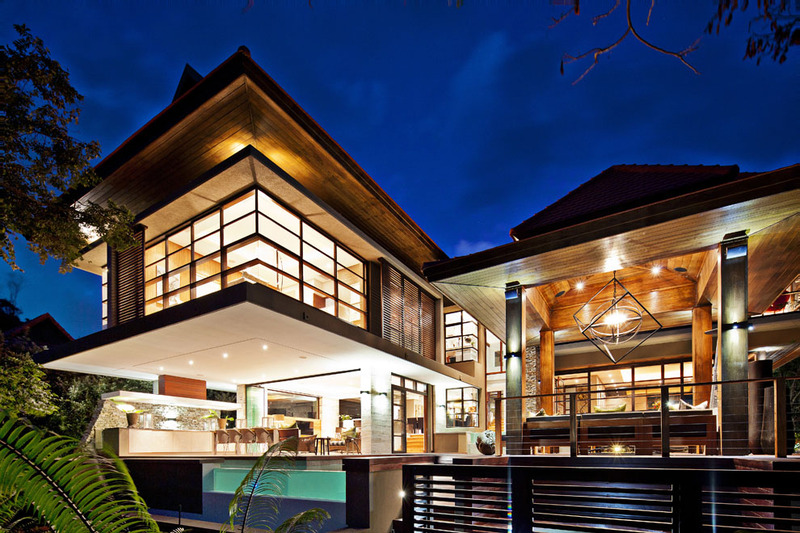 This 3,360 square foot contemporary residence has been built for a family of four as a full-time home. 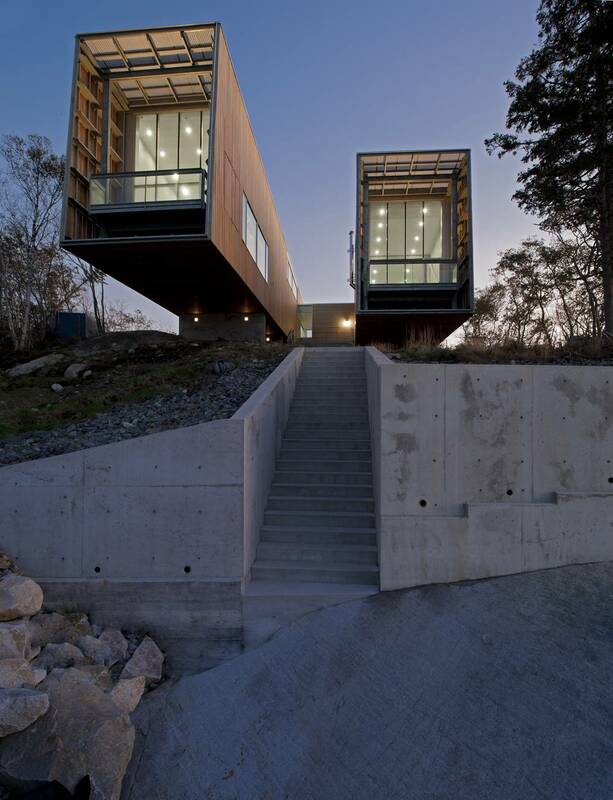 Two cantilevered pavilions stretch out towards the sea, one is the ‘day pavilion’ the other a ‘night pavilion’. 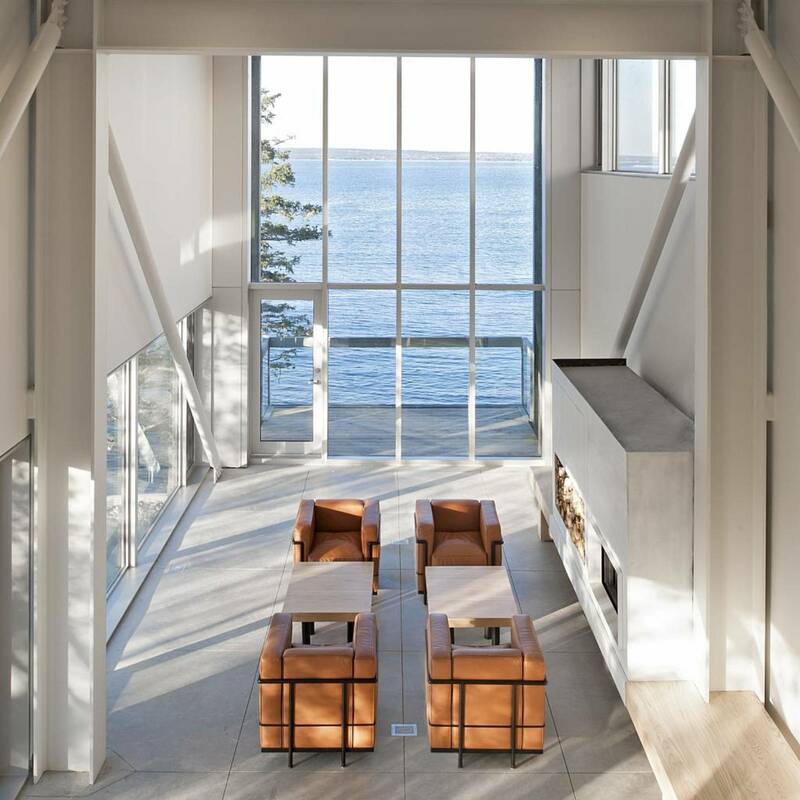 The Two Hulls House is located in Port Mouton, a small village on the southwest coast of the Region of Queens Municipality, Nova Scotia, Canada. 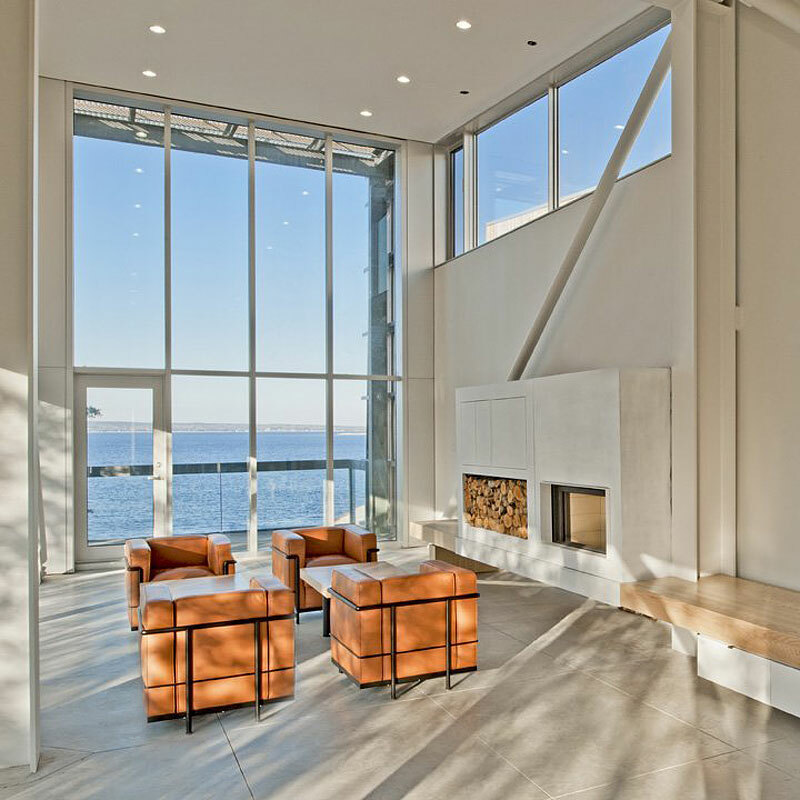 “This project is situated in a glaciated, coastal landscape with a cool maritime climate. The geomorphology of the site consists of granite bedrock and boulder till, creating pristine white sand beaches and turquoise waters. 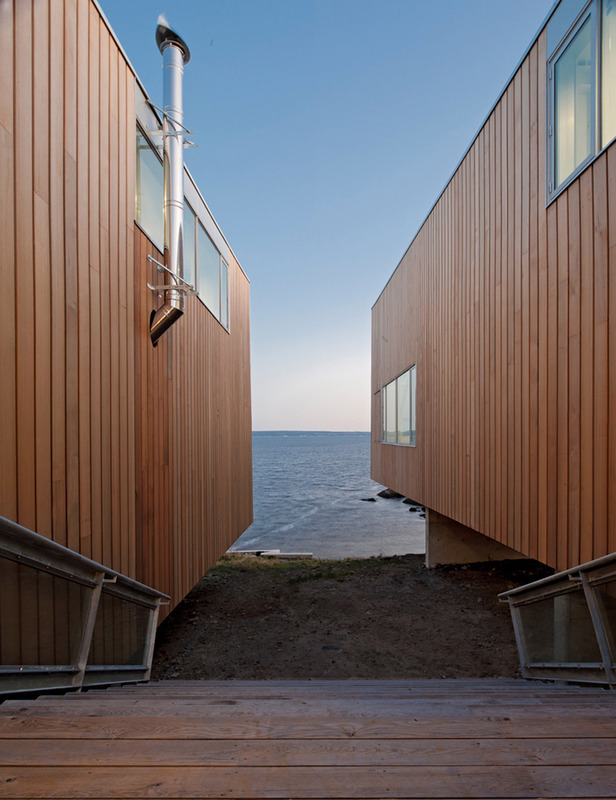 The two pavilions float above the shoreline like the hulls of two ships up on cradles for the winter, forming protected outdoor places both between and under them. 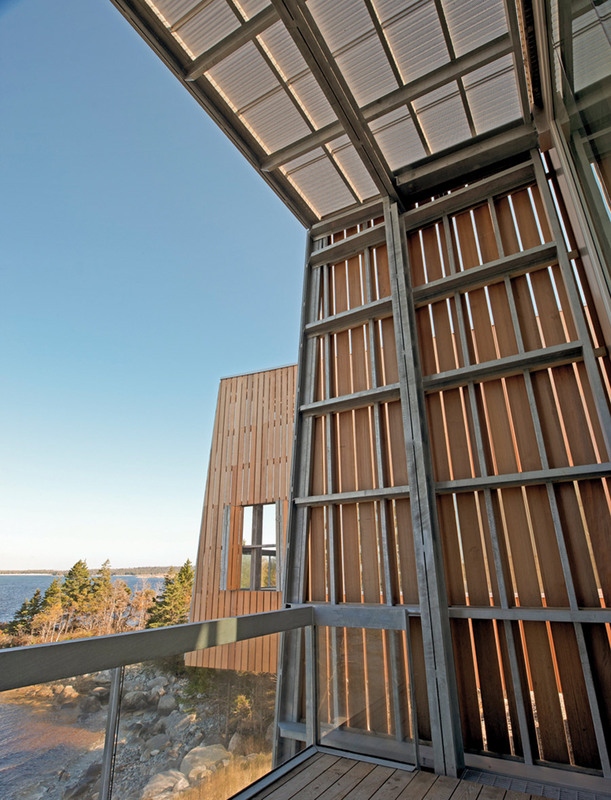 This is a landscape-viewing instrument–like a pair of binoculars, first looking out to sea. 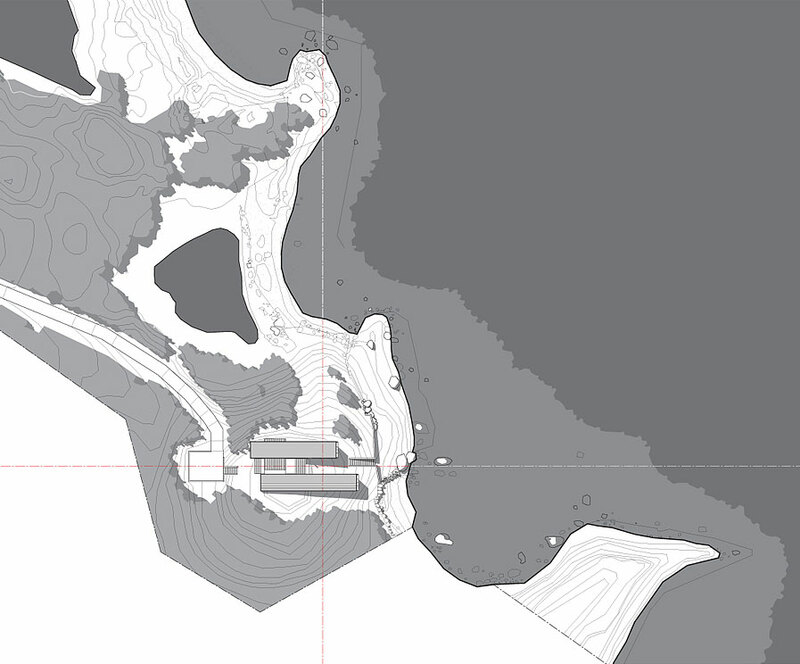 A third transverse “eye” looks down the coastline, and forms a linking entry piece. 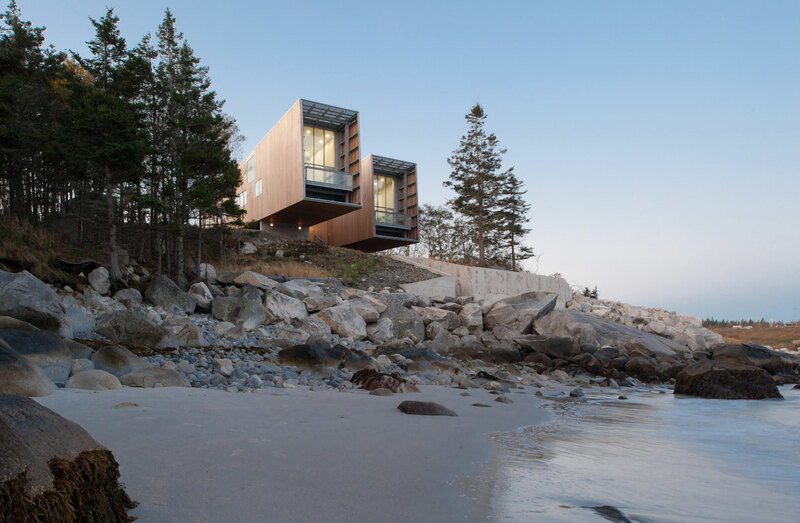 A concrete seawall on the foreshore protects the house from rogue waves. 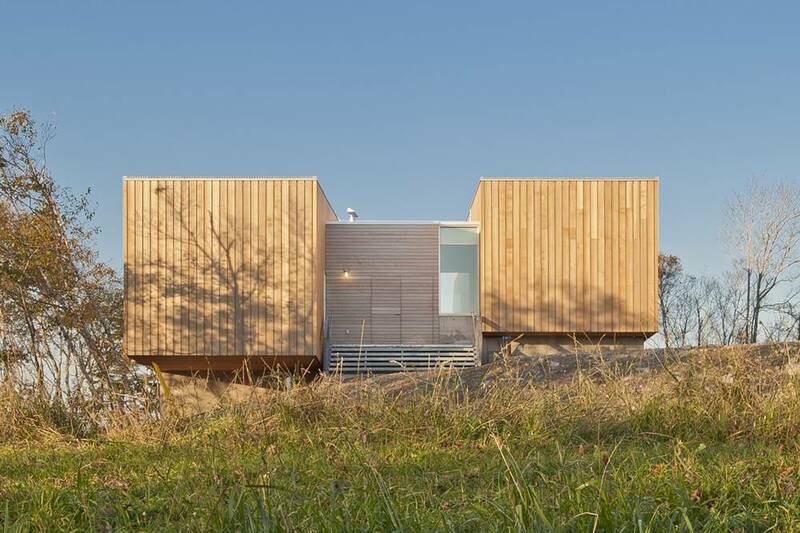 This is a full-time home for a family of four, consisting of a “day pavilion” and a “night pavilion.” One approaches from the understated land side between the abstract, library ends of the two pavilions, then passing through toward the sea–or left into the living pavilion, or right into the sleeping pavilion. One structure contains a central core, while the other contains a side core. 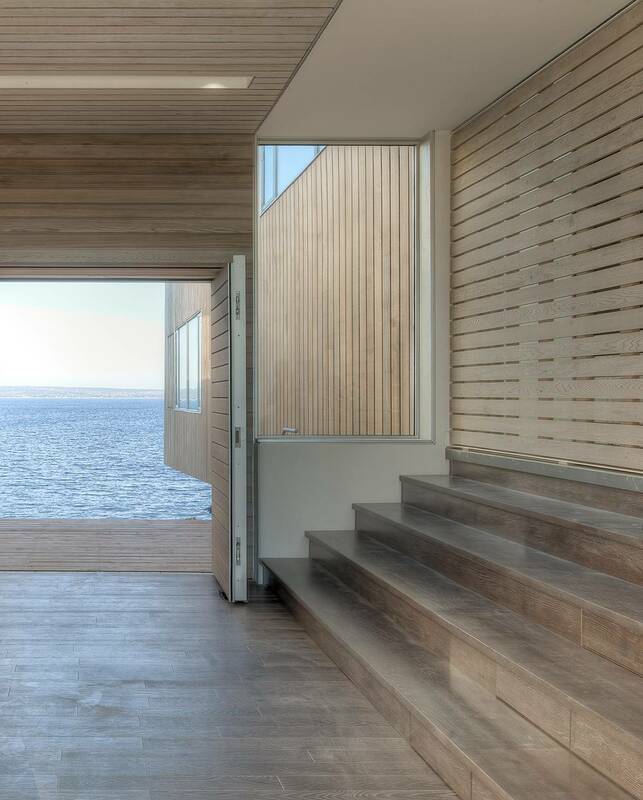 The seaward ends of the two main forms (living and master bedroom) delaminate, creating protected outdoor porches or night-time “lanterns” over the water. 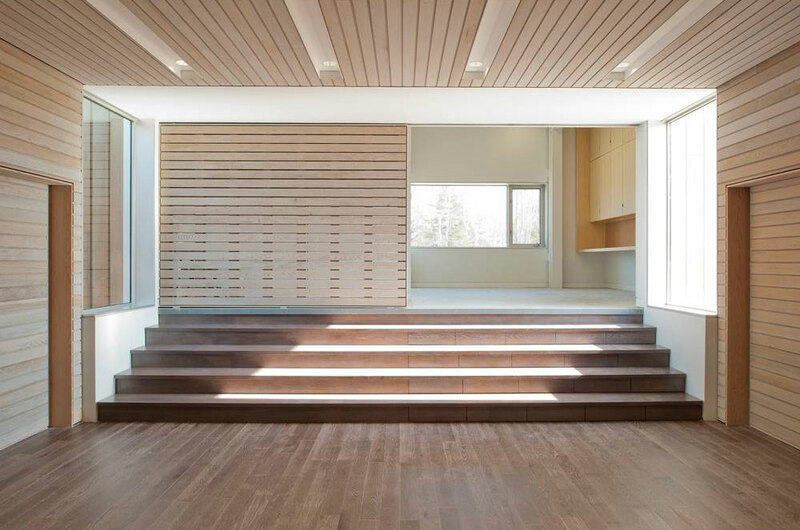 The third linking form contains the generous entry foyer, core, and the kitchen. 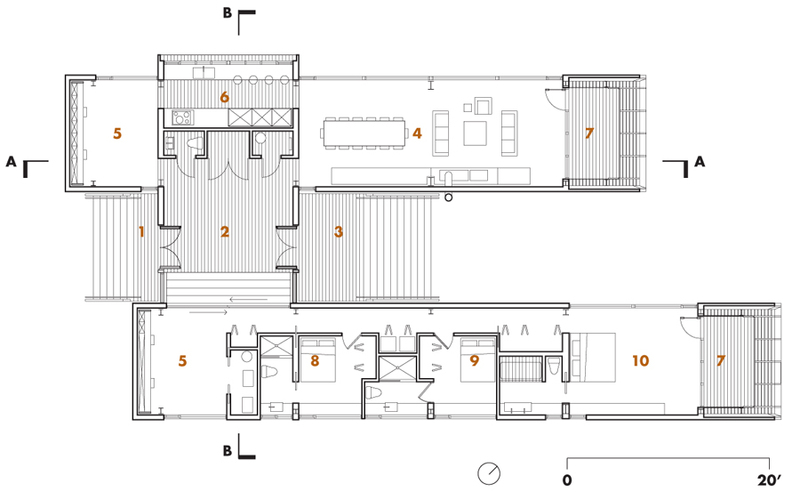 The great room contains a floating 24-foot totemic hearth. 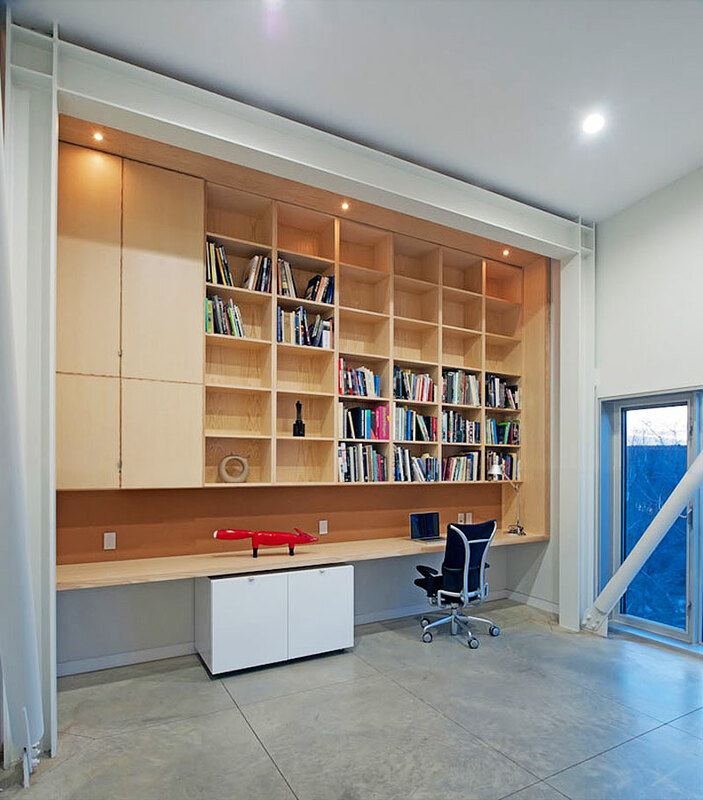 The house remains a fertile research vehicle in the education of an architect. 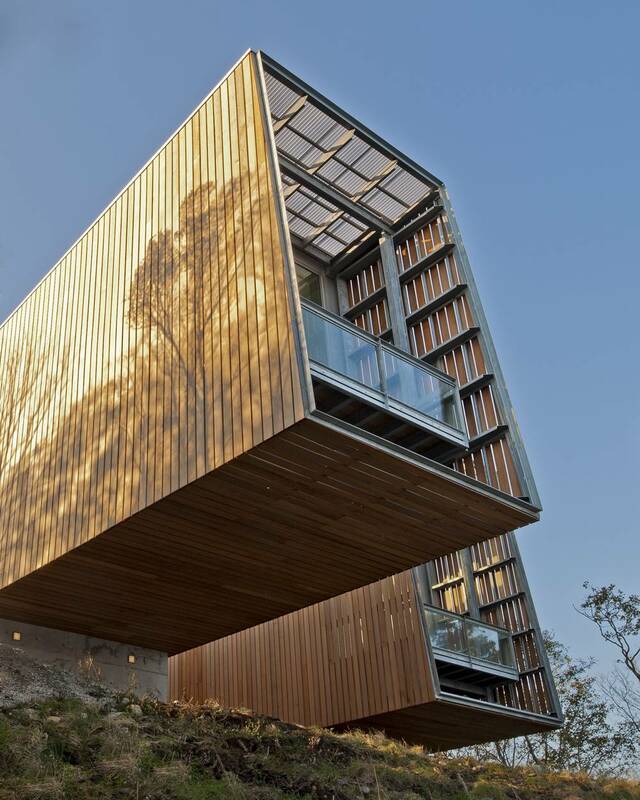 This is a steel-frame house with a wood skin. Its white steel endoskeleton resists both gravity loads and wind uplift. 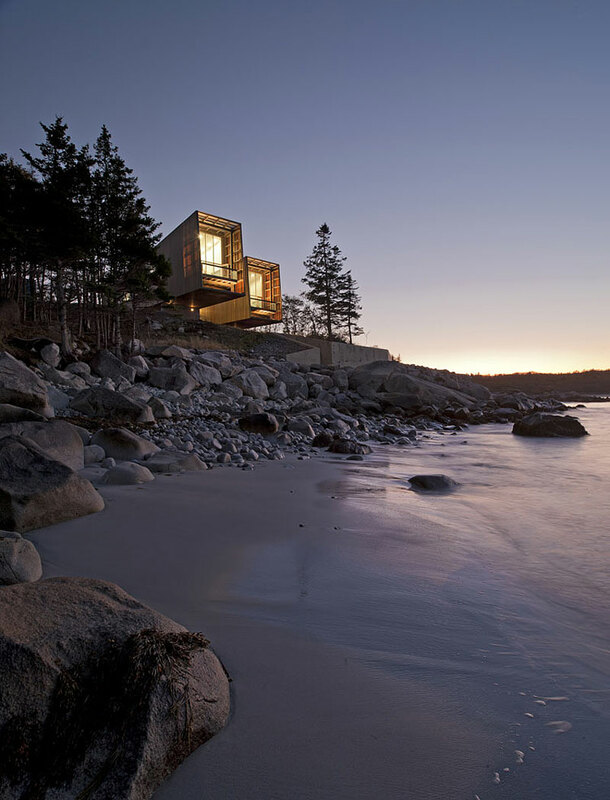 The 32-foot cantilevers and concrete-fin foundations invite the sea to pass under without damage. 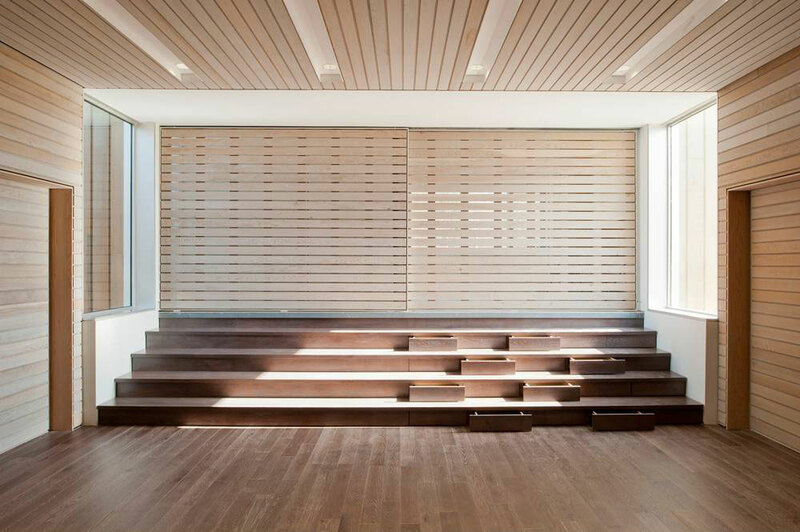 The wooden rain screen consists of 8-inch vertical board-on-batten on the two “hulls,” while the linking piece is a monolithic block of weathered wood inside and out, clad in 4-inch horizontal shiplap. 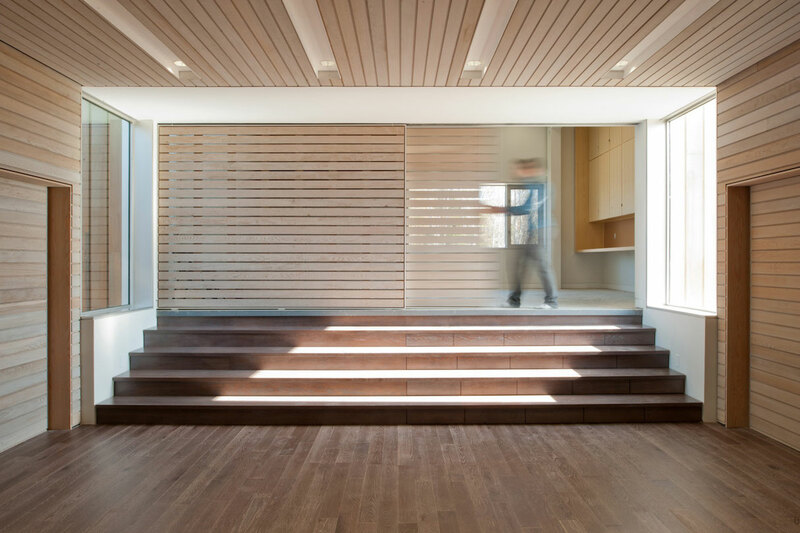 The lantern ends dematerialize by eliminating the 1-inch channel joints. 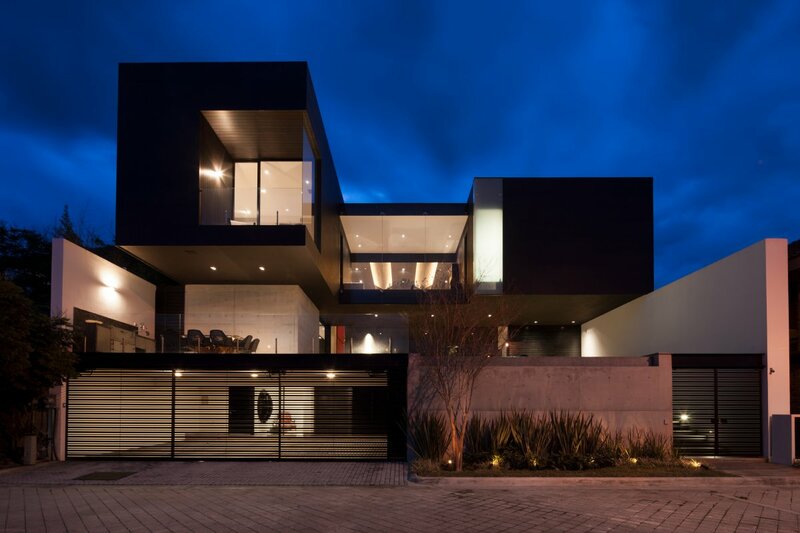 The fenestration of the “binocular” ends is minimalist curtain wall with structural silicone, while the side elevations contain storefront glazing. 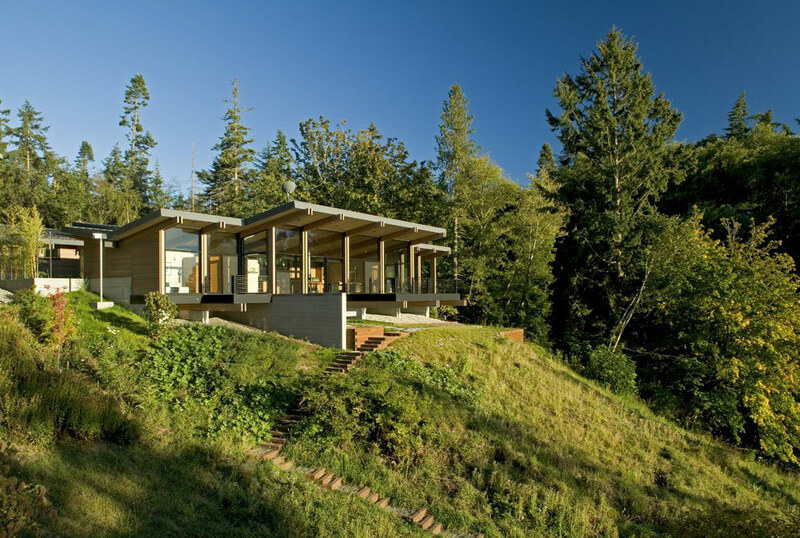 The concrete floors contain a geothermally heated hydronic system. 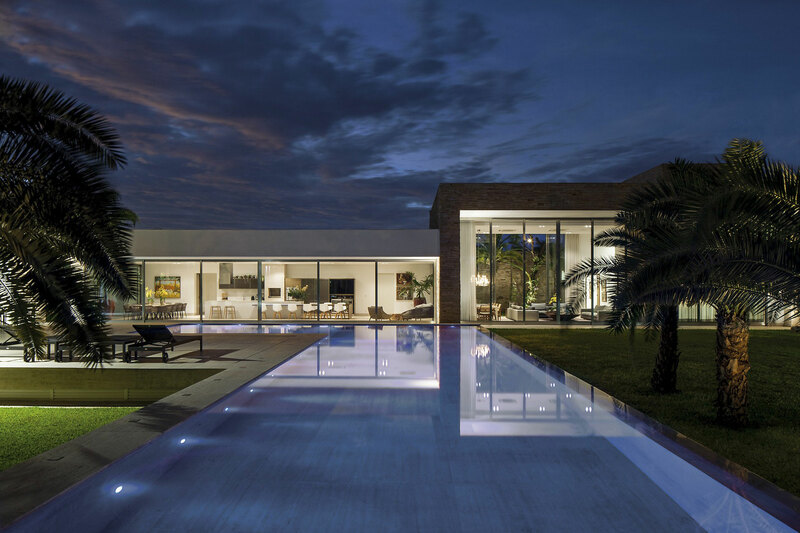 This sculptural yet calm and mature project contains generous white volumes on the interior, and exhibits the ironic monumentality of boats on the exterior.